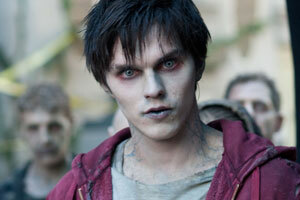 Watch the First Four Minutes of Warm Bodies. 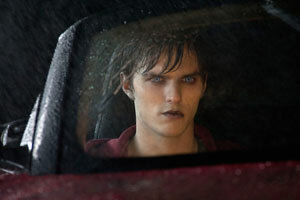 Nicholas Hoult, Teresa Palmer and John Malkovich star in the romantic zombie comedy, based on the novel by Isaac Marion. 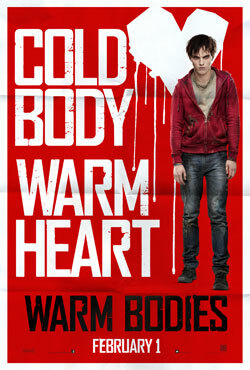 See the movie trailers, clips and movie posters for Warm Bodies below. 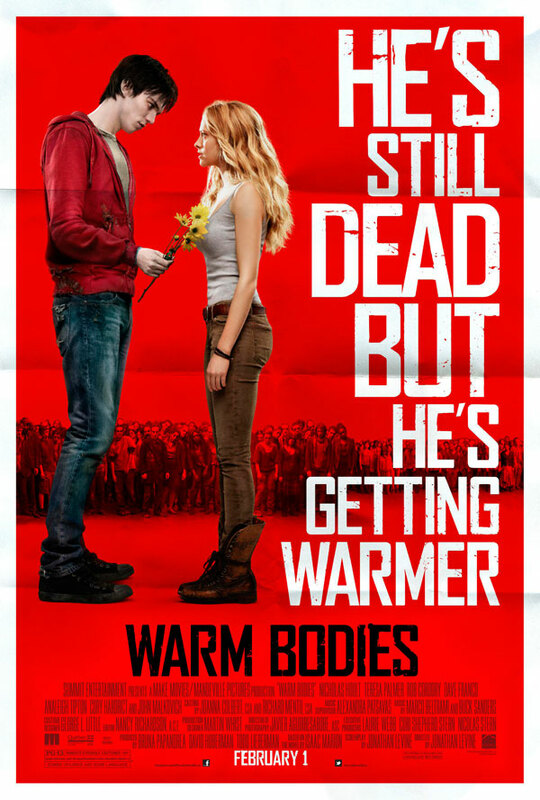 When a highly unusual zombie rescues a girl from imminent death at the hands of his cohorts, their unlikely romance sets in motion a chain of events that will transform him, his fellow dead and maybe even the whole lifeless world. MPAA Rating: (PG-13) for zombie violence and some language. 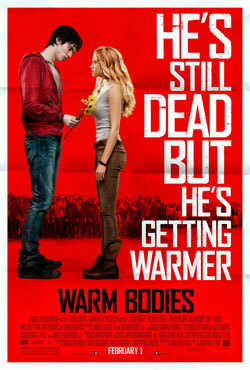 From the director of 50/50 comes a funny, poignant, and romantic tale about being alive, being dead, and the blurry line in between. 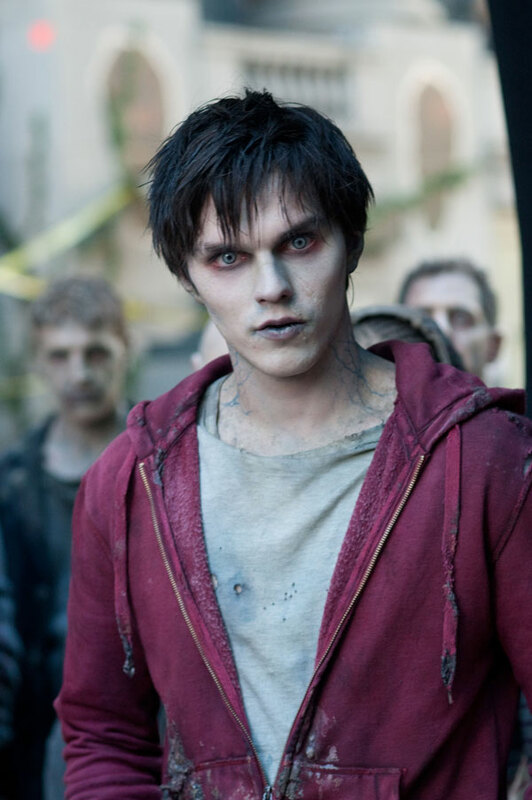 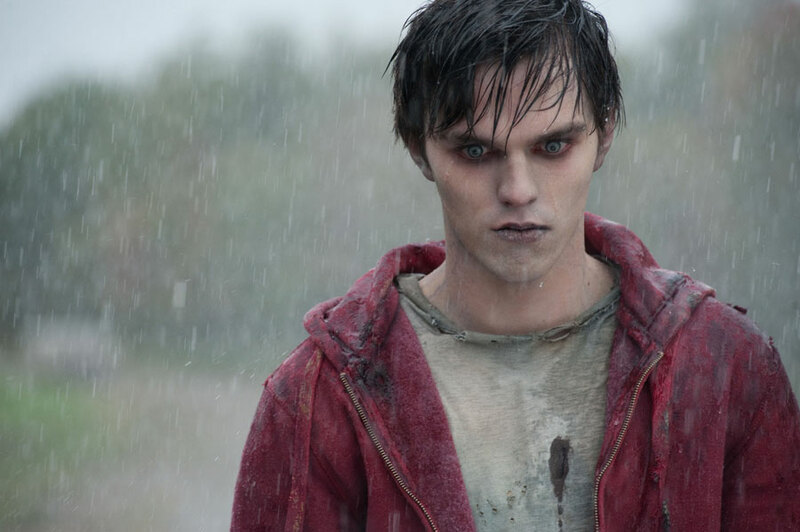 WARM BODIES tells the story of “R” (Nicolas Hoult from XMEN: FIRST CLASS), a highly unusual zombie who rescues a girl (Theresa Palmer from I AM NUMBER FOUR) from imminent death at the hands of his cohorts. Their unlikely romance sets in motion a chain of events that will transform him, his fellow dead, and maybe even the whole lifeless world.